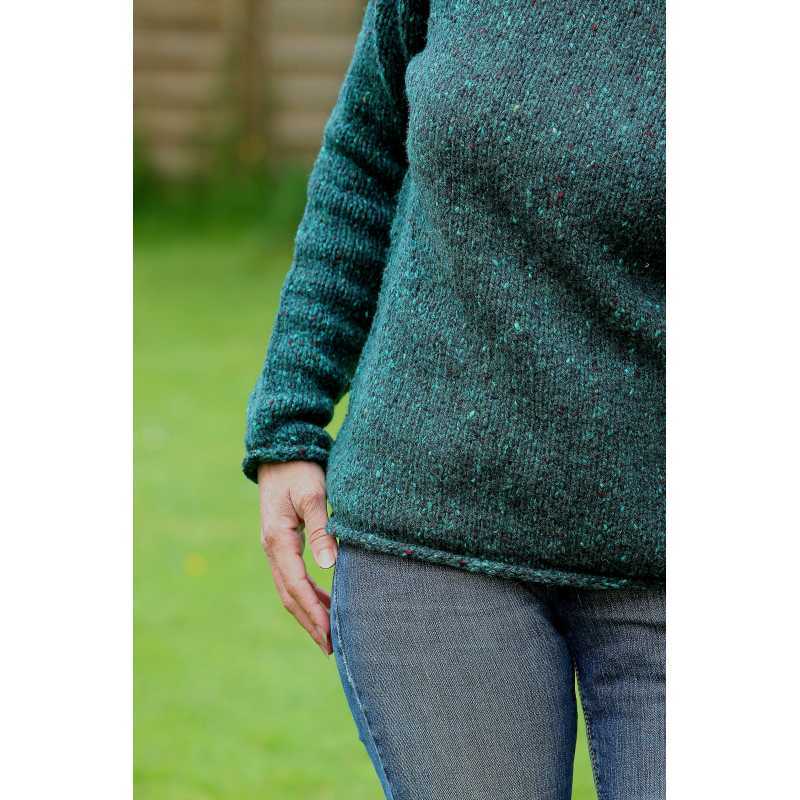 This sweater Fisherman Out of Ireland for women is made from 100% virgin Donegal wool. Sobriety distinguishes it from other models. However, a touch of whimsy is provided on the collar, cuffs and bottom with a "hem" graceful rounded outward. His neck is round and slightly flared. It emphasizes the shapes and makes you even more beautiful.